Do you cook in your kitchen and feel that it just doesn’t work for you? This could be because the space is lacking some functional features. When it comes to kitchens, form and function must be in balance. Check out these three remodeling ideas that could make your kitchen more functional. Among the most popular custom kitchen remodel ideas is the open kitchen layout. This layout is perfect for entertaining because you can interact with guests as you prepare meals in the kitchen. It’s also a good way to make your home look more spacious, since there are no walls obstructing the flow. Meanwhile, refreshing your kitchen cabinets through cabinet refacing can give your entire kitchen a fresh new look. Storage is a very important factor in the kitchen. There are a lot of cooking tools and utensils to store, but you have to store them strategically to ensure easy and safe access. You want commonly used items to be within easy reach, but still remain neat and organized. Redesigning the storage layout will help clear and minimize clutter. If you have an older kitchen, it’s possible that it includes inefficient fixtures and appliances. Today, you have many choices in water-saving faucets and energy-efficient kitchen appliances. When you decide to remodel your kitchen, make sure you consider replacing those fixtures and appliances that you use every day. If you think any or all of these ideas are what your kitchen needs, talk to us! Get in touch with DreamMaker Bath & Kitchen of Orland Park to start a conversation with a design/build specialist. We will evaluate your kitchen and help you determine which upgrades will bring out its full potential. 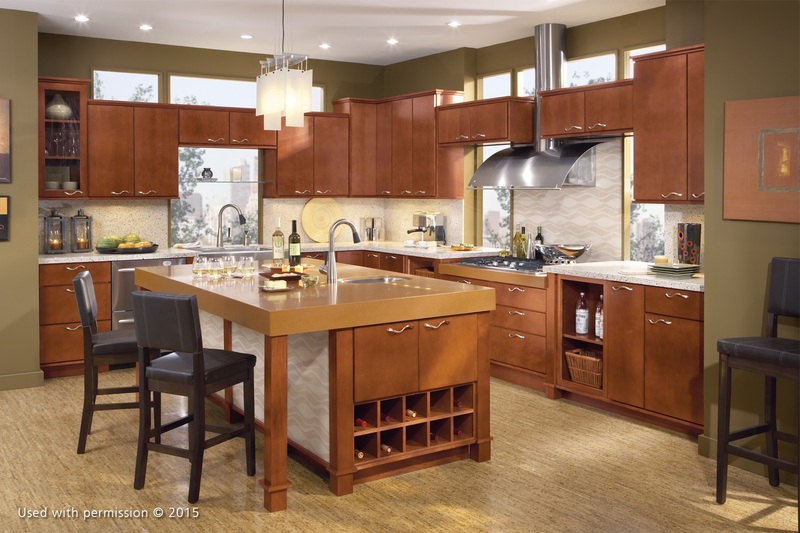 Call us at (708) 320-3417 today to start working with our expert team of kitchen contractors.